Allan is Chief Executive of Inverclyde Community Development Trust. 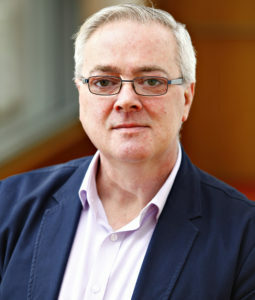 Prior to this Allan was Head of Partnerships & Operations at Voluntary Action Scotland, and has worked in the NHS and in health and social care related charities, with a focus on improving health, reducing inequalities and building patient and carer participation and engagement in planning and service delivery. He has previously worked at all levels from volunteer through to Chief Executive and Trustee.